These overnight ferries from Split via Stari Grad (Island Hvar) to Ancona (Italy) are a great option when it comes to saving money for accommodation! Three companies operate the line: Jadrolinija, Blue line and SNAV. Timetables availabe below. SNAV coveres the route with their new ship called Snav Adriatico which is equipped with onboard services such as a restaurant, self-service snack bar, shopping area and cinema. BlueLine is a low cost quality ferry operator, though on board you will find everything you need - from book corners and a mini shop to a casino, a la carte restaurant and internet corner. 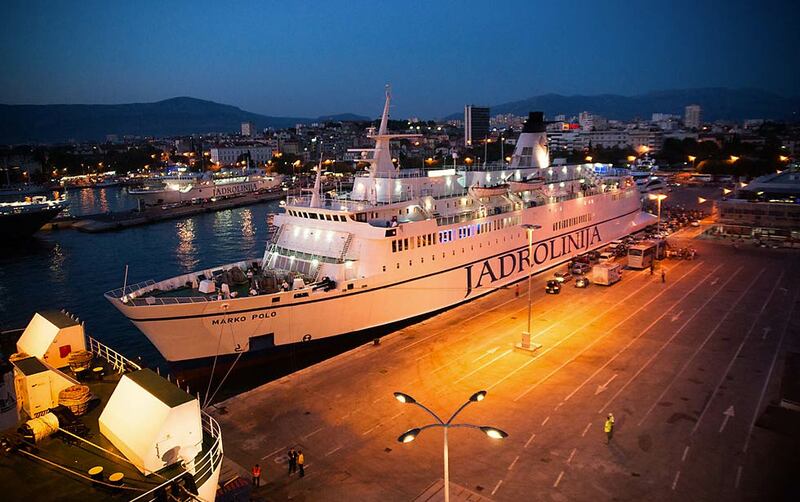 Jadrolinija is the Croatian goverment owned ferry operator which cover most of the lines along the coast. Their ships on International routes offer restaurants, bars and saloons. * on 20. & 27.07.2019. arrival to Split at 06:00 hours.